A lot of good, new stuff has come out recently in genre fiction. 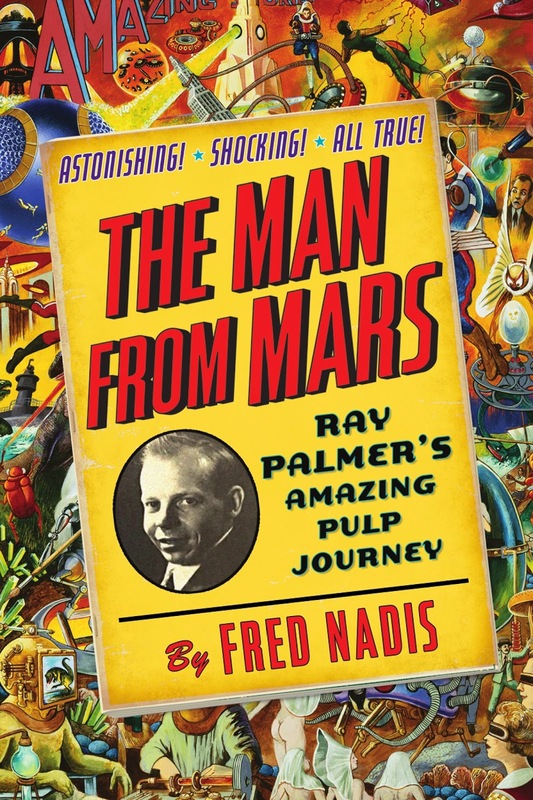 Here are some highlights to help you navigate through, so head behind the jump for a look at a modern space opera, an author compilation, science fiction for a young adult audience, and a biography of one of America's most important publishers. When you have an author who is one of your favorites, and they put out a compilation of some of their best short works, you want to give it a shot. 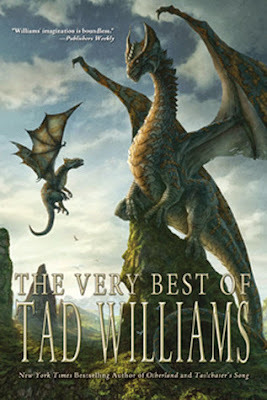 The Very Best of Tad Williams is good, but not really the Very Best, especially if you walk in expecting more serious fare like his longform fantasy and fiction. This is not to say all (or a lot of it) is bad. Far too much of it was silly for my tastes (most notably the "Wizard of Oz in Otherland" tale that really sold me on giving this a look to begin with), but when things are working, whether it be the genuinely freaky and creepy screenplay for "Black Sunshine" or the robot tale "Omnitron, What Ho!" toward the end, it really works. This is probably a poor starting point for most Williams readers. Many would say to go to Memory, Sorrow, and Thorn, I'm still partial to Otherland, but as a compilation of fiction of various stripes, it's certainly not bad for existing fans. I had picked this up thinking it was a foray into YA sci-fi in a way that was sorely lacking. Having never read a Karl Schroeder book before, I was happy to find a good (albeit sometimes draggy) science fiction tale even if it's not really young adult. The story is really about Toby, who wakes up 14000 years after being put in a frozen state. He quickly learns that his family pioneered a form of interstellar travel/cooperation called the Lockstep, which involved timing states of sleep/suspended animation and using robots to do the standard work along the way. The interesting point is a bit of a curveball that I don't want to give away, but it sets the stage for what quickly becomes a fairly epic story. The book itself is good. It's hard sci-fi written in a pretty accessible way, and it has a lot of fun concepts. 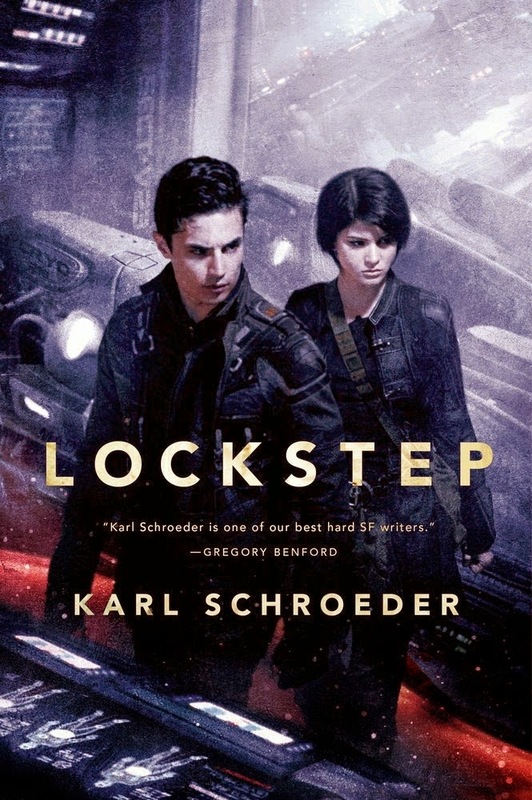 I loved the idea of the Lockstep and really enjoyed a lot of the science that went into this. The story itself could be a little tighter, and I wonder if part of that is because it might have had young adult intentions (and the marketing at least suggests as such) and just fails to balance itself completely on that line. Overall, a good science fiction read, my favorite in a while. Worth a look. For a number of reasons, I was underwhelmed by the first book in Rachel Bach's Paradox series, Fortune's Pawn. 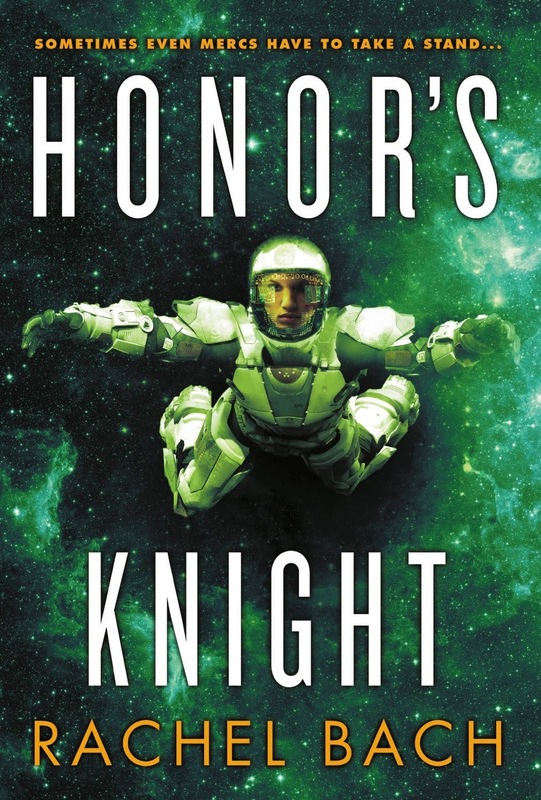 Putting that aside, Honor's Knight is much, much better even while somewhat magnifying the flaws of the first book. Honor's Knight effectively takes place directly after the big reveal of the previous book. Devi has a much more significant problem on her hands, and the book is really just allowing the characters to play in the universe Bach has set up. A lot of cool ideas, a lot of good reveals, and some truly awesome scenes go along with a story that feels a lot tighter and streamlined even if it leans more on some traditional tropes than previously. There isn't the sort of agenda-driven plotting I felt was all over the place with the first book, and the episodic structure has calmed down somewhat (although there were still moments of clear "point a -> point b -> point c" throughout that were far too noticeable to ignore). The point of a lot of that in the first book, though, clearly was an attempt at establishing a setting so we can now focus on more of the plot this time. Had this story been one full book as opposed to three, perhaps my tolerance of a lot of the choices made might have been higher. More importantly, though, it's a compelling, fun ride in this one, and sets up what should be an excellent conclusion when the final book comes out. Overall, I've gone from wavering a bit on this series to finding it worth recommending. I'm hoping, at this point, that the final book holds up the type of quality Honor's Knight does. While this book isn't very recent, it's a recent find for me and falls well in line with a lot of interests here at the blog.